2. You need to put an emphasis on your upper and mid lats to create that aesthetically pleasing V-Taper that forms the basis of aesthetics. 3. You need to emphasize heavy weight and time under tension with row exercises to build those bulky rhomboid muscles. 4. Direct lower back work that will create structure in the lower back. 5. Finally: DEADLIFTS. Deadlifts will develop your entire back like no other. 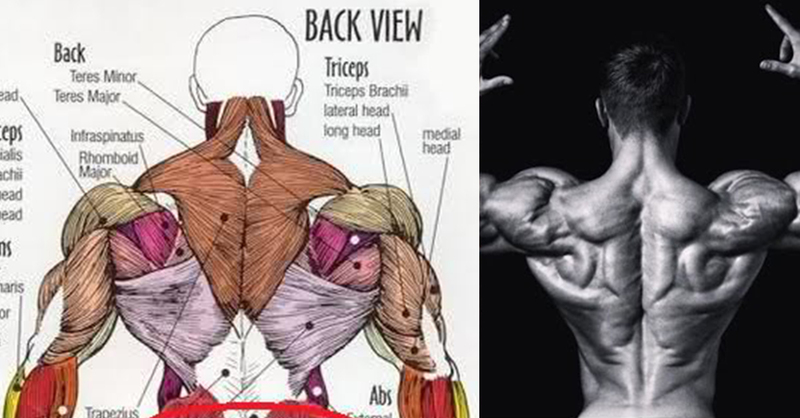 Now most guys train their back but only have a slight V-Taper due to a lot of lateral pull downs but don’t have the other components of their back muscles. If you want to have an incredible looking back that looks aesthetically pleasing and also builds an awesome foundation you need to follow these principles and train each of the 4 main groups.